Central Defender signed in 2015 from Nantwich Town, left in October 2015 to join Shaw Lane Aquaforce but rejoined Hyde in February 2016. 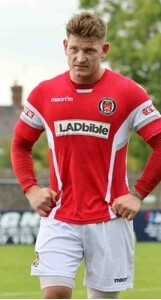 After leaving Hyde, Jones played at Glossop North End and Stalybridge Celtic. Also been with FC United of Manchester.